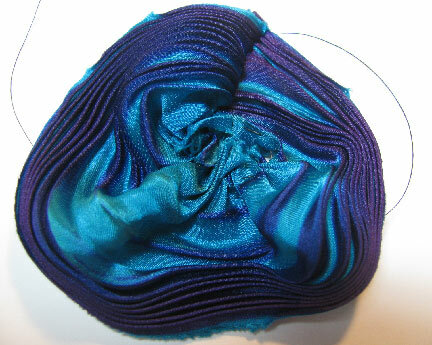 I've been promising you tutorials on making pleated silk shibori ribbon flowers for awhile now, and I have finally made the time to figure out which are the most useful and the best to share with you. The problem is, I went down a LOT of rabbit holes in the process of coming up with just a few that I really liked! So this week and next, we'll take a look at the styles that I think will be the most useful for everyone. 1. 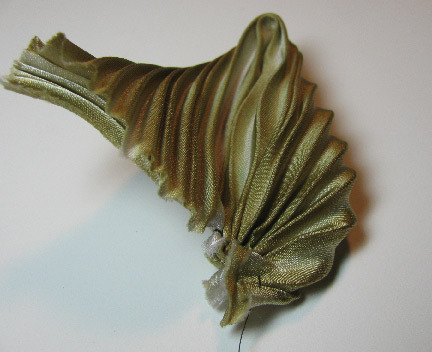 Cut approximately a 10" length of silk ribbon. With right sides facing, stitch the short ends together. 2. Baste along one long edge, leaving thread tails. 3. 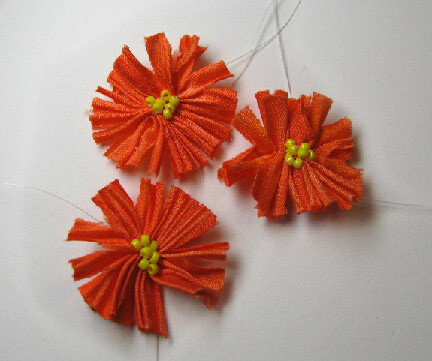 Gather the stitching and fluff the flower out. As is, it makes a fine hollyhock. To make a rose, make another flower the same way, but with a shorter piece of ribbon. You can layer as many as you want to make a full rose. 1. Cut as many pieces as you will need petals. I make mine from 1" to 1 1/2". 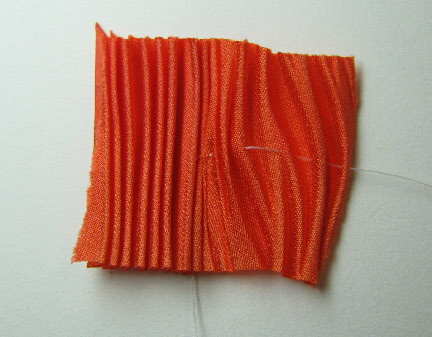 Stitch a U-gather, starting at a bottom edge and stitching around three sides as shown. Leave the thread tails long. 2. Using one tail, gather up the side and whip stitch around the bottom edge. 3. Use the other tail to gather up the other side and whip stitch it. 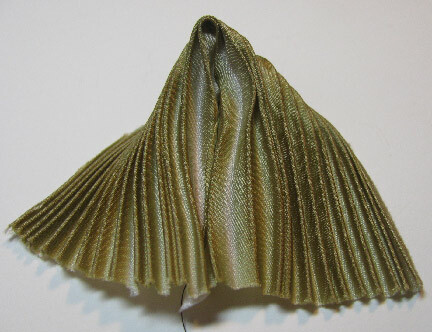 These petals, in various sizes and colors, can be used to form lots of different types of flowers. I'll show you two next week! 1. 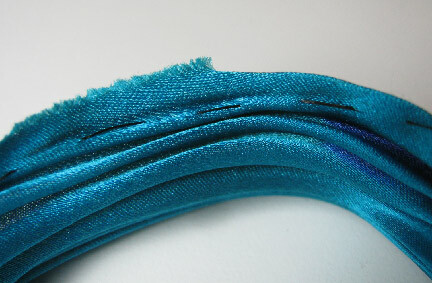 Cut a piece of ribbon 3 to 5". 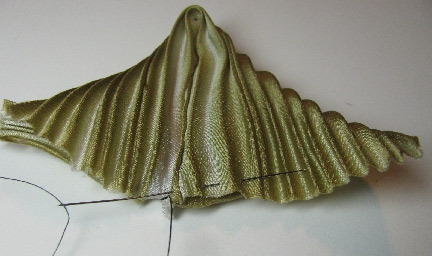 Fold in half crosswise with right sides facing. 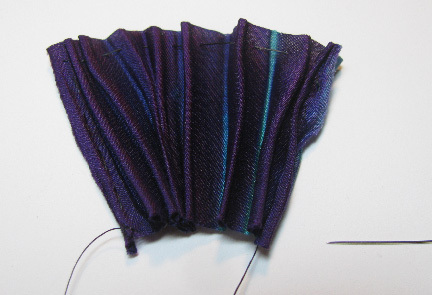 Starting at the fold, stitch along one long edge through both layers. Take tiny stitches, keeping the ribbon flat. Do not pull to gather, but rather, anchor the thread at both ends. 2. 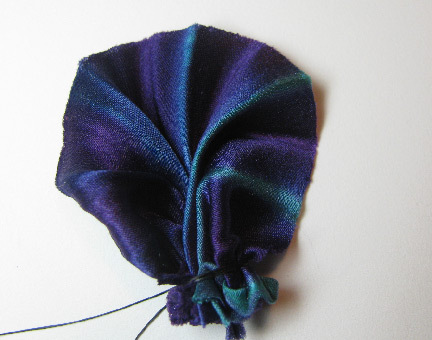 Turn the ribbon right sides out with the stitched seam in the middle of the front as shown. 3. Pull the back edge of the ribbon down to meet the front edge. 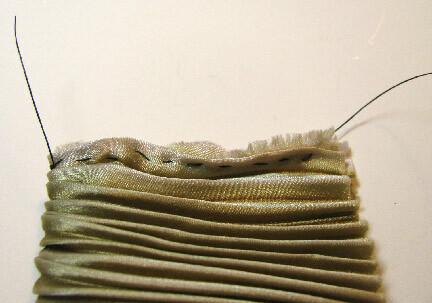 Stitch from the middle seam out to one edge through both layers as shown, and gather. 4. Stitch back to the middle seam and then stitch out to the other edge. Gather and anchor it. 5. Stitch through the corners and gather tightly. 1. Cut 1" lengths of ribbon. 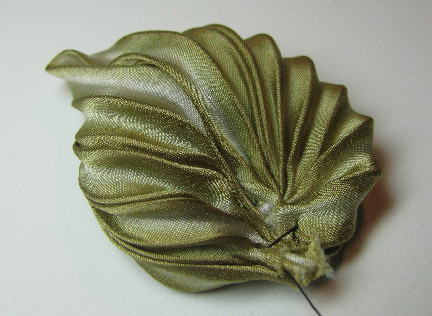 Starting in the middle, anchor the thread on the back and stitch through the folds out to one edge. 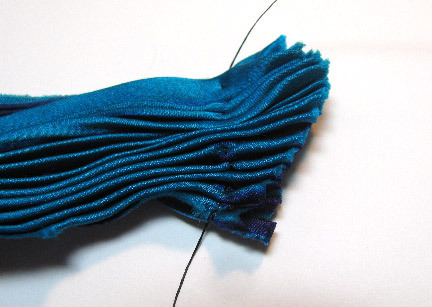 Gathering the pleats, wrap the thread underneath and back to the center, anchoring it again. 2. Repeat for the other side. 3. 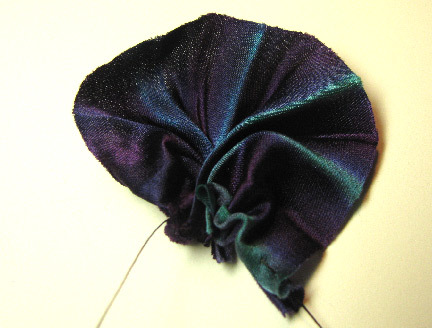 Using small sharp scissors, snip into the flower, creating ragged petals. 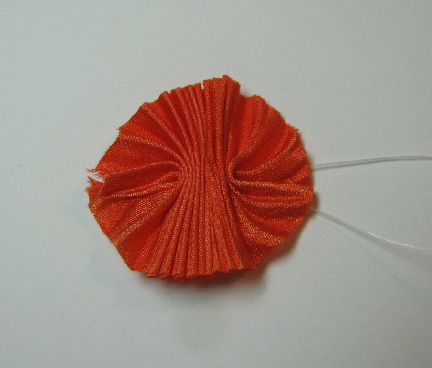 Use one of the thread tails to add beads for the centers. Next week, I'll show you how to assemble some petals and leaves into a Wild Rose and a Pansy. I can't believe the dimensionality you've achieved, Cyndi. Especially with the leaf. These are amazing! Thanx Cyndi for sharing. These are really beautiful. Wow! You are a true sewing hero. You make it look so easy. Thank you so much for teaching such a wonderful tutorial. I am feeling very inspired now. I am totally blown away. There are lots more sellers now than when I first started buying it. 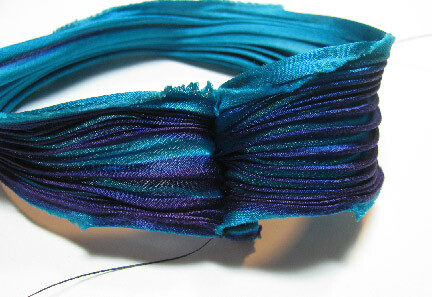 I would recommend going on Etsy and searching on shibori ribbon. I bought some of from "ShiboriGirl"